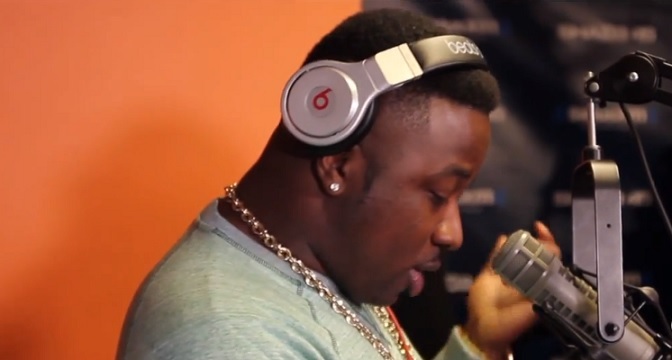 New York’s rising talent, Troy Ave, recently paid a visit to Shade 45 satellite radio to chop it up with Tony Touch about his new album and also hopped on the microphone for an exclusive freestyle. Check out Harry Powder in action as he tackles Pusha T’s “Numbers On The Boards” instrumental and pulls out his trusty phone to share a few bars for listeners tuning in. Troy Ave’s New York City: The Album is now available. This entry was posted in In The Studio, Miscallenous, Video and tagged freestyle, harry powder, hip hop, radio, rap, Shade 45, Toca Tuesdays, troy ave. Bookmark the permalink.